Equimax Horse Wormer is an oral treatment indicated for the control of gastrointestinal roundworms, bots and tapeworms. Equimax Horse Wormer is a Prescription Only Veterinary Medicine and by law requires a prescription from your vet. 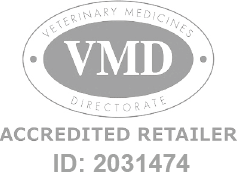 An oral gel wormer for horses containing ivermectin and praziquantel. Equimax is for the treatment and control of adult and immature gastrointestinal roundworms, lungworms, bots and tapeworms in horses. Each Equimax syringe contains sufficient gel to treat a 700kg horse. Active ingredients of Equimax are ivermectin and praziquantel.